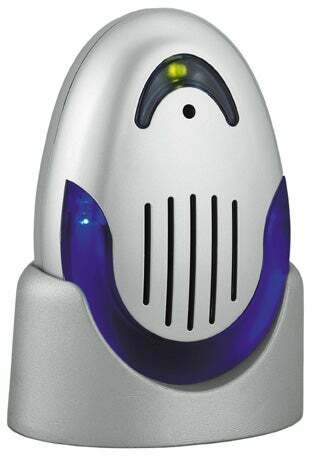 Record a message on the Memo Motion Sensor, and as soon as someone enters the room it starts playing back. You'd better make that message brief, though, because you're limited to 10 seconds. Talk fast. At first we thought the recorder was sitting in a charging stand, but that's just a plastic parking place for this battery-operated device. This seems like a good idea, but the dog may not much care what your messages are when he triggers playback by merely prancing into the room. It's available in Europe so far for €19.90 ($26.69), but we're hoping someone in the United States takes this idea and perfects it, giving you longer than 10 seconds to record your message, adding a sensitivity control to reduce false alarms and making its battery rechargeable.